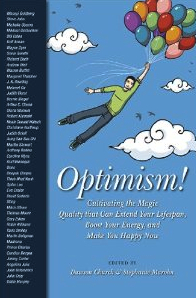 It is with great fanfare that I introduce to you one of the most innovative anthologies ever co-created to enlighten us on the concept of optimism. In Optimism! 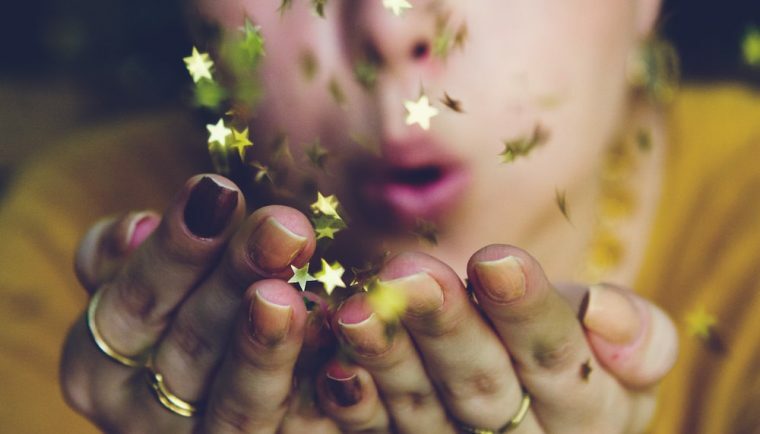 Cultivating the Magic Quality that can Extend Your Lifespan, Boost Your Energy, and Make You Happy Now, the foremost spiritual and world political leaders reveal the secrets that kept them going during tough times. With over 40 inspiring chapters, you can open this book to any page and have the best minds in the world sharing their best ideas with you. So treat your spirit to one of the most uplifting books of modern times and start your journey of making Optimism! a cornerstone of your life. With sincere humility—as a “new voice”— I am deeply honored to have participated in this astounding anthology. To actually have my thoughts associated with Carolyn Myss, Wayne Dyer, Steve Jobs, Michelle Obama and Bono are quite mind-boggling. There are people who can lift the spirits of a packed sports stadium with the radiant optimism of their personalities. What does it take to live your life so full of joy that you jump out of bed each morning, eager to pour the magic of your spirit into the day? The surprising answer, from many optimists, is that this is not an innate characteristic. It is a learned skill. They might tell you that they were born into great difficulty, and faced daunting challenges, but that they kept cultivating good habits, uplifting thoughts, and clear goals, persevering through difficulties to create the life they desired. Psychological research has now demonstrated that optimism is a skill that can be learned, in the same way that working out in a gym enlarges your muscles. Optimists do certain things differently. As well as being happier, scientific research shows that they’re much healthier physically, and live an astounding seven to thirteen years longer than pessimists. Optimism! has already won an award and recently announced as Winner of the Anthologies: Non-Fiction category of the USA Best Books 2011. Previous Post Life is short. Buy the shoes.